This is not an isolated case. According to the Brazilian government, the two Sao Paulo workshops in which illegal immigrants were manufacturing clothes for Zara in conditions bordering on slavery are just the tip of the iceberg. The South American giant’s Labor Ministry says that at least 33 other workshops subcontracted by the Galician firm would have detected the same irregularities: overcrowding, unhealthy working conditions and wages of misery . But the multinational Inditex, owner of Zara, insists that this is an “exceptional situation,” according to El Confidencial, an official spokesman for the textile group founded by Amancio Ortega . Last May, an operation similar to that deployed in Sao Paulo allowed the Regional Superintendence of Labor and Employment to dismantle several clandestine workshops in the city of Americana , in the interior of the region of São Paulo. At that time 52 workers, almost all Bolivian nationals, were released, who were being exploited and subjected to degrading working conditions. According to sources at the Brazilian television channel Band, the second of Brazil, whose reporters uncovered the alleged irregularities committed by Zara in Sao Paulo, most of the 52 freed slaves also made garments for the Spanish fashion firm. 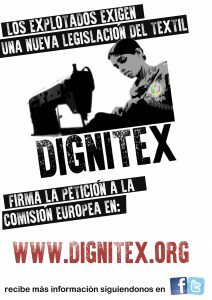 Inditex’s spokesperson, consulted by El Confidencial, said that “the seriousness of this company is model”, and noted that the textile group annually performs more than a thousand audits to suppliers of its brands worldwide to ensure that they comply with its code of conduct . “We are working with the Brazilian authorities to review the production systems of our suppliers and prevent cases such as that of Sao Paulo from occurring again.” The representative of the Galician multinational avoided commenting, however, the complaint of the Ministry of Labor on the existence of at least 30 other clandestine workshops linked to Zara.